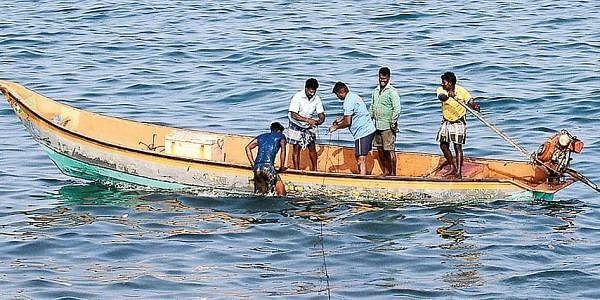 The Sri Lankan Navy apprehended four Tamil Nadu fishermen and seized one boat near Delft Island, on Saturday. DELFT ISLAND: The Sri Lankan Navy apprehended four Tamil Nadu fishermen and seized one boat near Delft Island, on Saturday. The fishermen have been taken to Kankesanthurai naval camp for interrogation. Yesterday, 10 Tamil Nadu fishermen were apprehended, and one boat was seized by the Sri Lankan Navy near Point Pedro.